Kelty is at it again.... 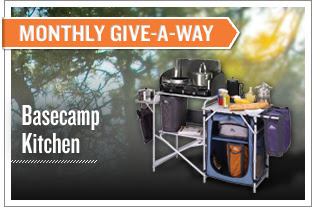 This month's give-a-way is The Basecamp Kitchen. Everything you need to keep a camp loaded with hungry bellies happy.